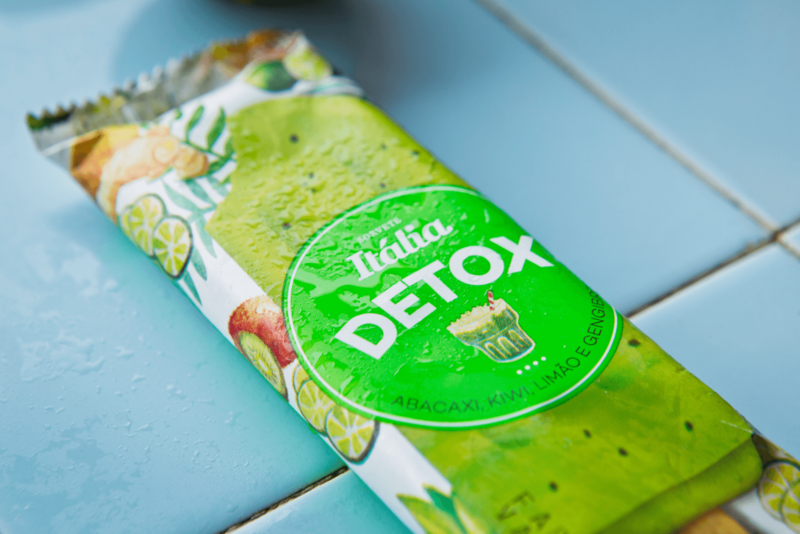 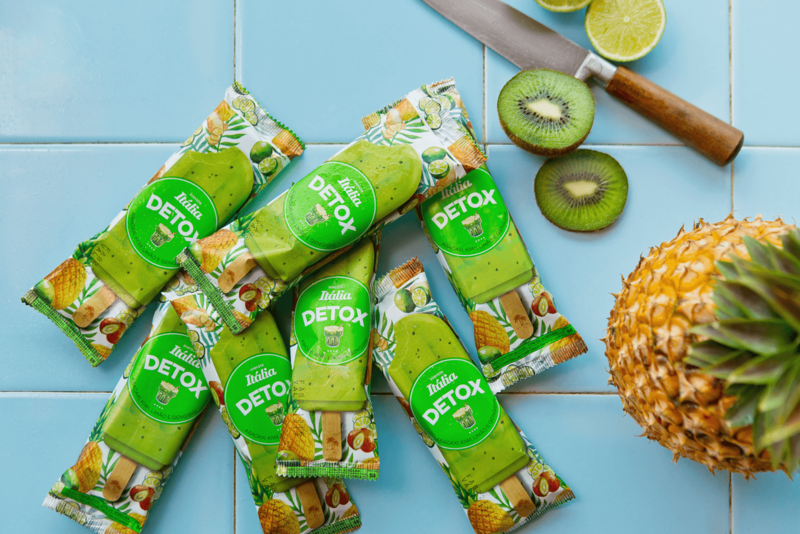 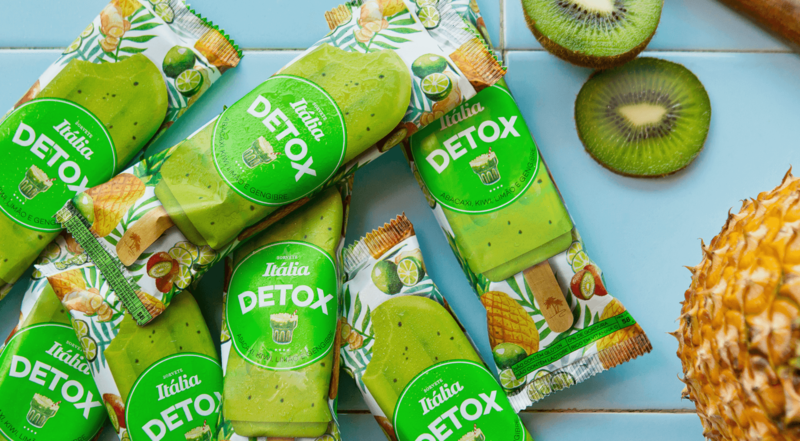 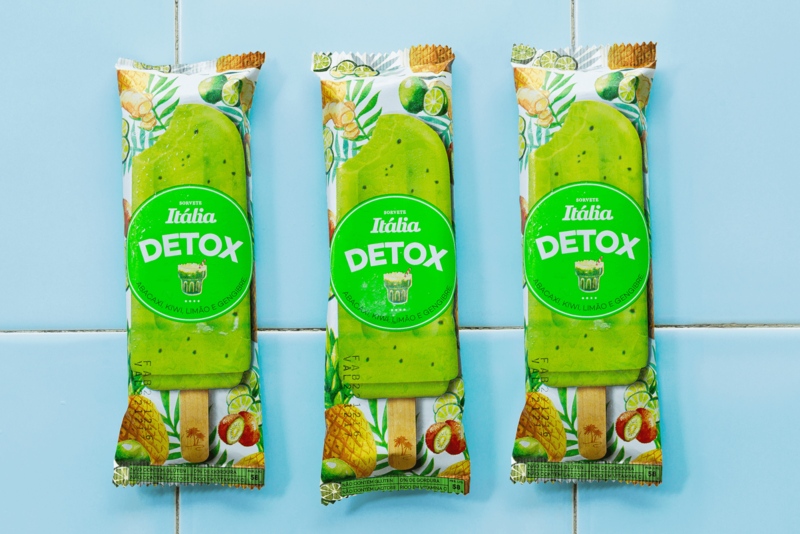 Detox packaging design is intended to encourage the consumer to think healthy and have fun while savoring an ice cream. 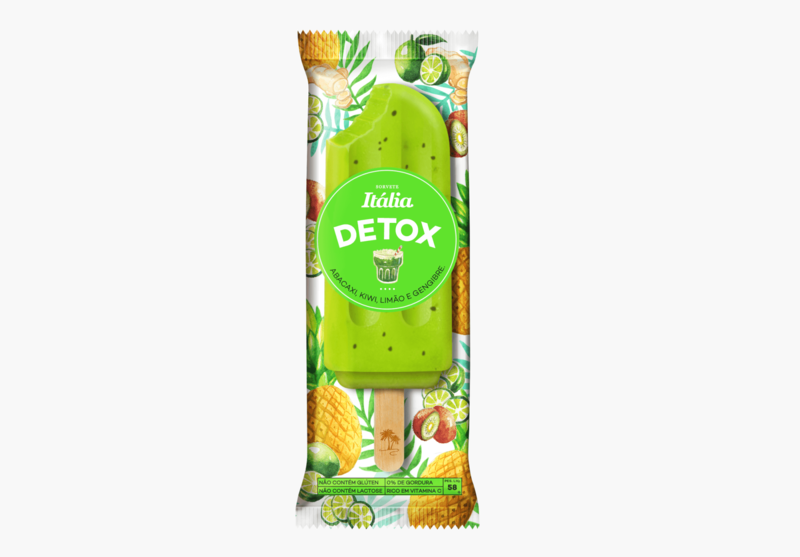 Handmade watercolor illustrations of a variety of fruits bring an idea of a carefully done product, while the use of vibrant colors are stimulating and reminds of the fresh citrus flavor of the ice cream. 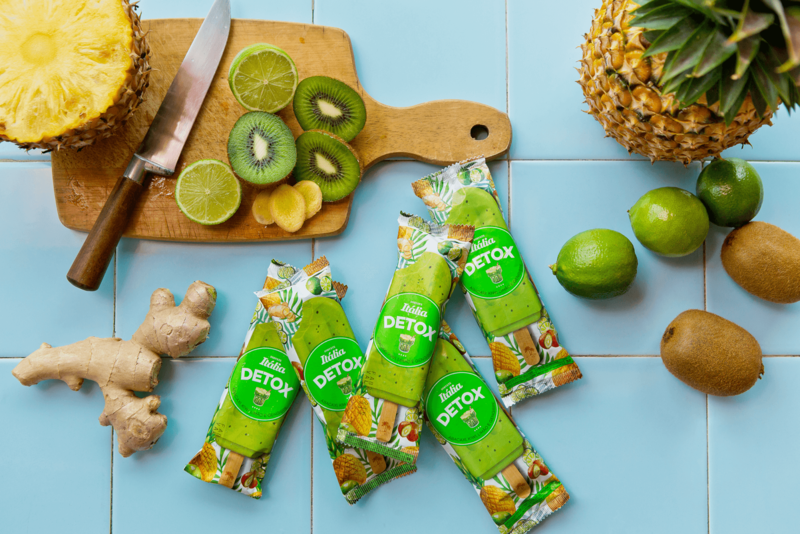 The mood of the packaging illustrations evokes a vintage cookbook where the ingredients are carefully painted, while a fluorescent green round label is applied to the packaging to give a fresh punch to the composition.